BE CUTTING EDGE: DISCOVER A BRAND NEW WAY TO DO LINE REMOVAL AND INLAY! 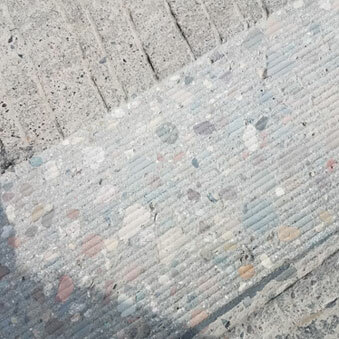 For decades, road crews have looked for better ways of removing pavement markings. 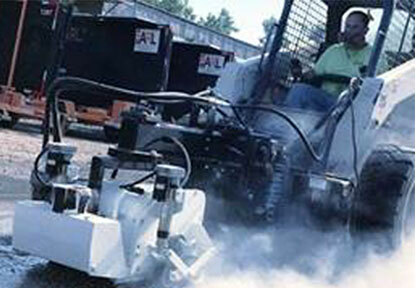 They have braved countless hours grinding asphalt, sharpening blades and changing mill heads. They have tried to cut overhead associated with costly repairs and lengthy equipment downtime. These persevering men and women know quality when they see it. 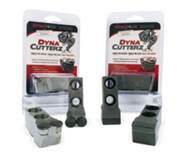 And Dynatech PCD Cutterz is the brand they rely on for all their hard-surface milling needs. It hasn’t always been this way. There are those who have opted for lesser brands often resulting in higher costs. For example, carbide blades are likely to become duller faster than PCD Cutterz. 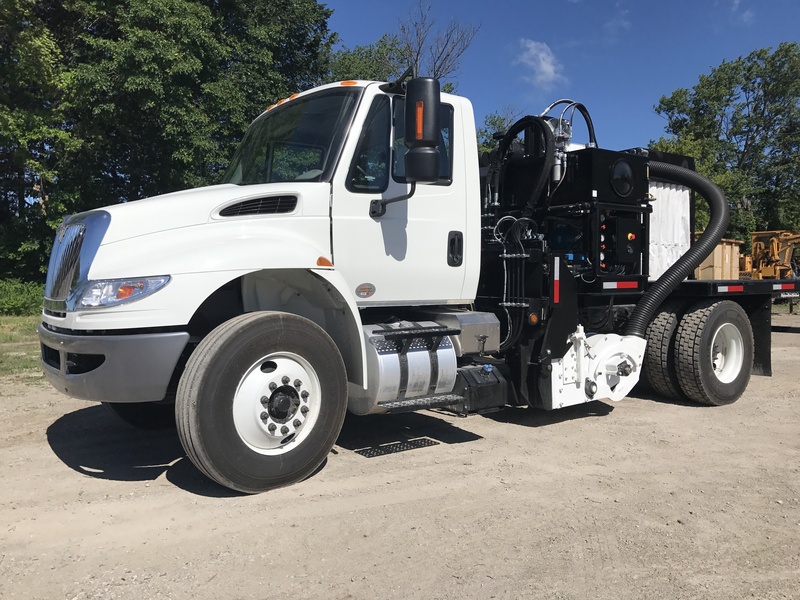 This leads to increased job costs and lower profit margins due to longer work hours and added fuel expense. 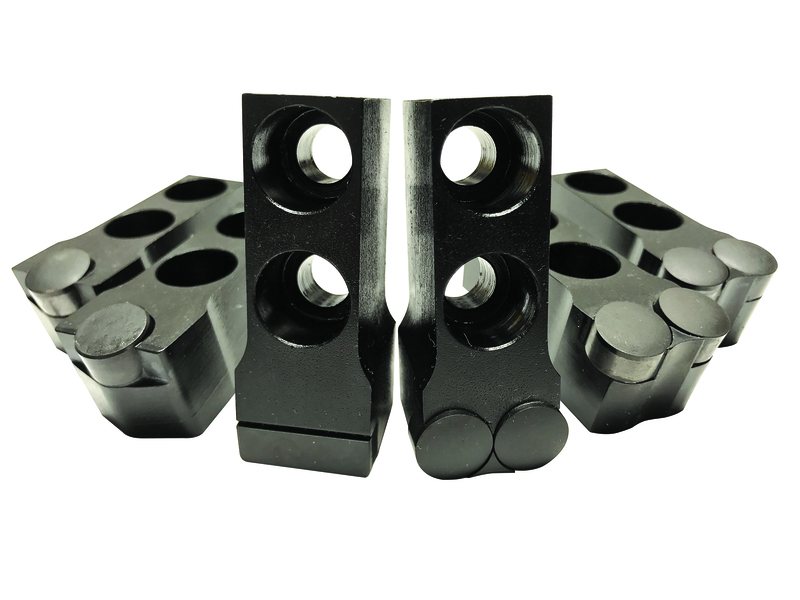 So what makes Dynatech milling heads rise above the competition? They use Polycrystalline Diamond, or PCD, as the main component in their Dyna Cutterz. Diamond is the hardest and most abrasion resistant of all materials. And PCD is a composite of diamond particles sintered together with a metallic binder. Polycrystalline Diamonds are the only type of diamonds that have self-sharpening properties. This PCD structure opens new sharp edges with every use by releasing an outer layer of dull micro crystallites. Not only are Dyna Cutterz made from PCD but they're also engineered to save you money. 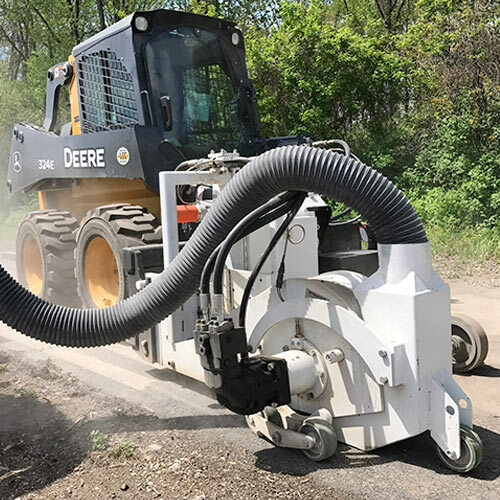 Think of a saw blade head hitting the hard surface of concrete all at once ... and the tremendous torque and power an engine needs to make this happen. Now contrast this with the unique engineering of Dynatech PCD Cutterz. Shaped in a cylindrical pattern, like a barber pole, each cutter shaves away a hard surface in 1/10th of a second. Then the next cutter whirls around and shaves off more surface area in 1/10 of a second, and then another and another ... you get the picture. Dynatech Cutterz's design enables you to cut faster and longer than other milling heads. It also requires less power to operate which means you spend less money on energy and fuel costs. That's right, mount Dyna PCD Cutterz to almost any equipment configuration. Say goodbye to lost downtime trying to piecemeal mill heads together with your own equipment. Replacing PCD Cutterz is simple thanks to Dynatech's easy cutter removal system. Keep your focus on the job by ONLY changing Cutterz when needed. “One Time Buy” on Plates / Arbor / End Plates Means You SAVE! 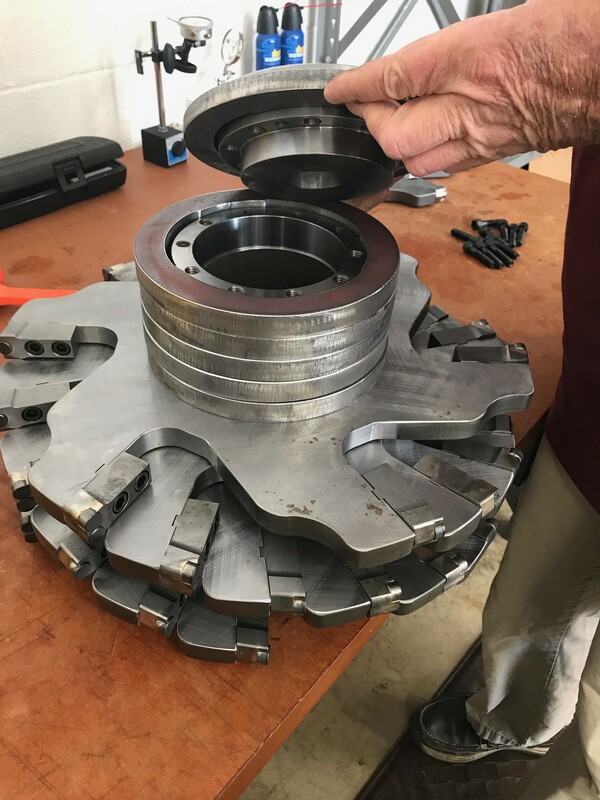 No need to replace your entire Dynatech mill head over and over. Save money by only buying core mill head components ONCE. 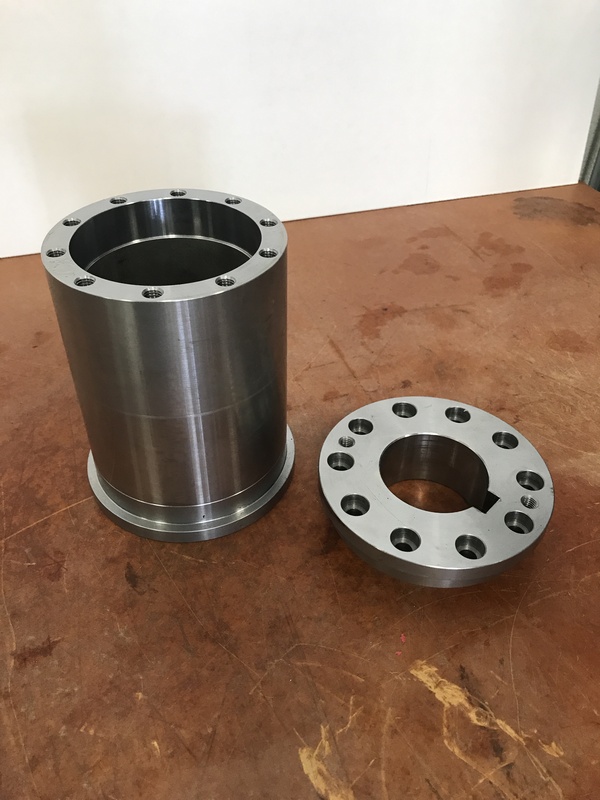 Simplify your work by ONLY replacing plates on the mandrel as needed. Dyna PCD Cutterz cut faster thanks to their unique barber pole design. 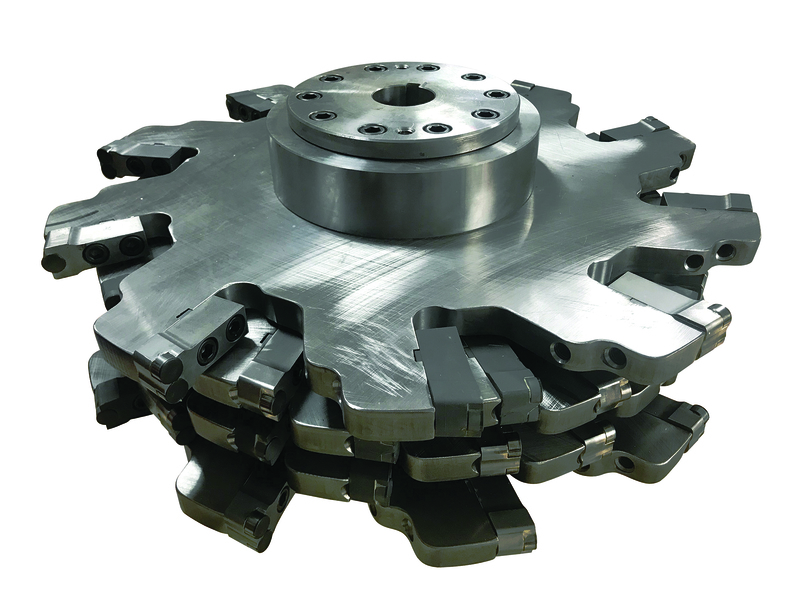 Rather than working separate, each cutter shares its load with 3 to 4 other cutters aligned in series to speed up the milling process. Thanks to its PCD composition and "barber pole" design, Dyna PCD Cutterz, outlast both diamond and carbide blades by a longshot. It takes less horsepower, and thus less fuel, to drive Dyna PCD Milling Heads. Because not all teeth touch the paved surface at once you can do more with less. Dyna PCD Milling Heads are 20% cheaper than other blades and last 4x longer too. This means higher profit margins per job and more money in your pocket! Dynatech Milling Heads are so efficient that your vacuum will be hard pressed to capture all the dust. Almost the Same Cost as Diamond Saw Blade BUT Last 4x- 10x LONGER! 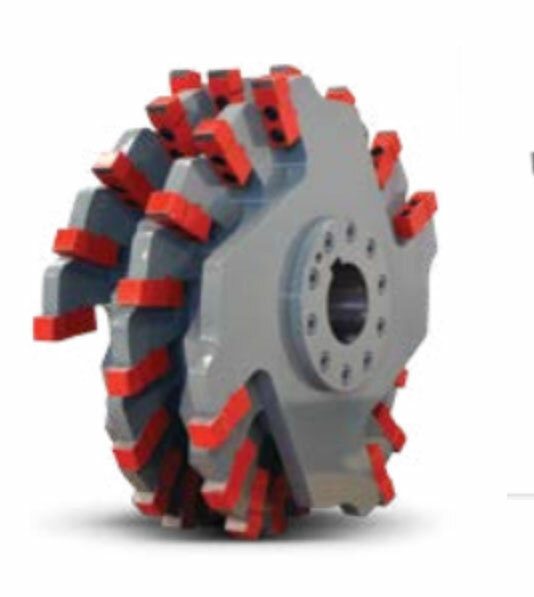 Dyna PCD Milling Heads cost almost the same as Diamond Saw Blades. But the real saving happens by replacing the Cutterz ONLY as you need. Gone are the days of changing blades all at once. Dynatech's revolutionary approach now saves you money over time. Dynatech’s PCD Milling Head is a revolutionary design which saves you time and money. 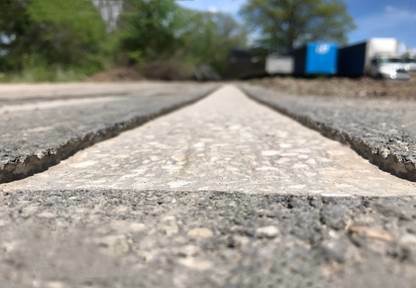 What makes it so unique is the core component used in its construction — Polycrystalline Diamonds (or PCD) which possess selfsharpening properties. 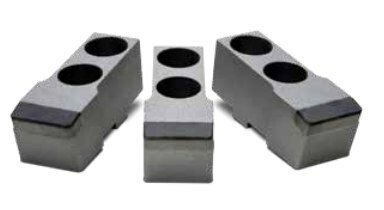 In addition, these PCD Milling Heads, are engineered in a cylindrical pattern, like a barber pole, which frees each cutter to cut away a surface in a sequential manor rather than all at once. This unique milling approach saves you time and money. 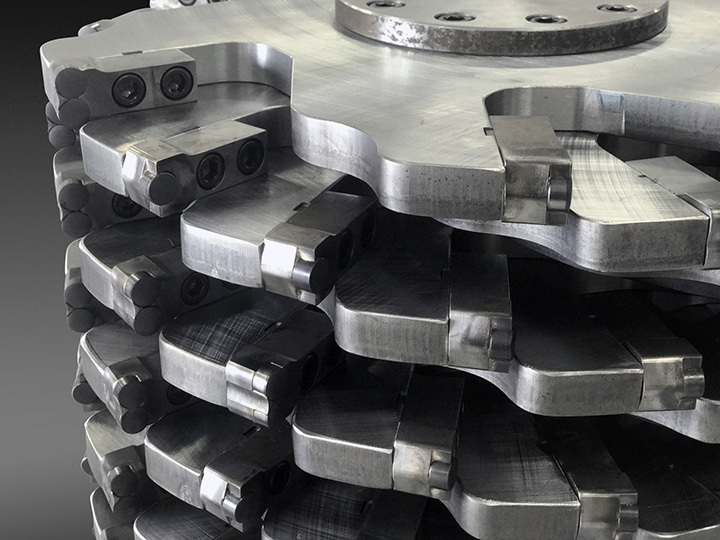 Dynatech is the only company to both manufacture Diamond Blades, PCD Milling Heads, and the equipment they go on. Their ‘cutting-edge’ technology harnesses the benefits of diamonds and puts them to work for you. They have a long history of satisfied clients both in the U.S. and around the globe. They are experts in craft and eager to pass their knowledge and expertise onto you. For more information please call 1-800-446-9001 or go [here] to place your order today.